Everyone wants white teeth. 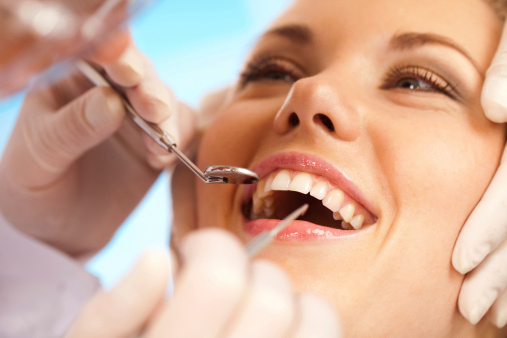 When your teeth are white, you will look more attractive, youthful, and healthy. 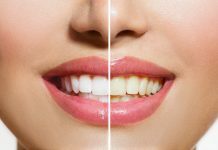 Baking soda teeth whitening can be the ideal solution. There are a number of ways sodium bicarbonate can lead to whiter teeth. One example is its natural abrasive characteristic. When you brush your teeth, it will easily remove stains and discolorations. It will also remove plaque. 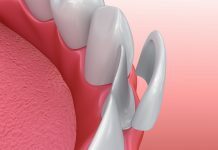 While plaque that is allowed to remain on the teeth can lead to tooth decay, it also prevents teeth from appearing their whitest. Teeth will appear dull because of plaque deposits. Brushing with sodium bicarbonate will remove all traces of plaque, and leave your teeth sparkling white. You have a number of options for whitening your teeth with this product. The easiest method is to use it directly from the box. You can begin by moistening your toothbrush, and sprinkle a small amount of the powder onto the toothbrush. 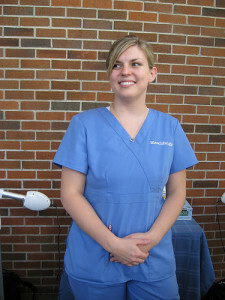 Simply brush your gums and teeth as you normally would, and rinse your mouth well after brushing. A second option is to combine it with your regular toothpaste. Carefully mix the two products together to make a paste. Depending on your personal preferences, you can mix it with other products. Strawberries are one example, as strawberries also have natural whitening properties. Other options include hydrogen peroxide and white vinegar. 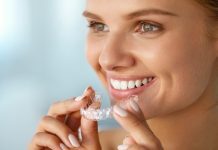 When you choose this product for whitening your teeth, there are additional benefits you will appreciate. One benefit is the cost. There is no other method of whitening teeth that costs so little. Whitening trays, gels, and professional whitening at the dentist’s office may break your budget, but you can buy a box of baking soda at your local grocery store for less than one dollar. If you use it correctly, you can have approximately one hundred uses per box. A second benefit is healthier teeth and gums. Your mouth will be clean and fresh every time you brush. 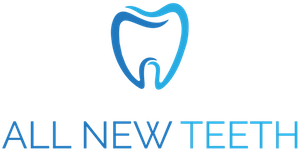 As it removes plaque, you will be less likely to experience tooth decay and gum disease. Fresh breath is a third benefit. If you are bothered by bad breath, baking soda teeth whitening can resolve the problem. Your breath will be so fresh that you will not need to use mouthwash. Fourth, it is completely natural. Each box contains an all-natural product that is healthy and safe to use. If you are concerned about ingredients that are potentially harmful, it is the wisest choice. 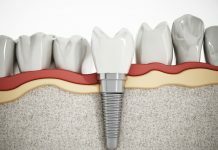 Although it is safe and natural, there are some disadvantages to consider. The most common problem is its abrasive quality. While it can whiten teeth, it can also damage the teeth if it is not used properly. To avoid damage, brush your teeth for two minutes or less each time. Do not use it every time you brush. Alternate between sodium bicarbonate and your regular toothpaste. If you brush with it once per week, you should have the results you want. 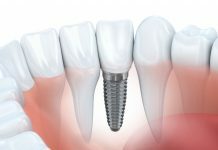 A second disadvantage is that it does not kill the bacteria that can lead to cavities. This is another reason for continuing to use traditional toothpaste. Only when you brush with toothpaste will brushing reduce your risk of cavities. 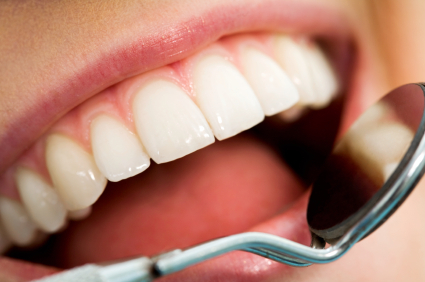 There can be numerous reasons teeth do not retain their white, bright appearance. One reason is the foods and beverages you consume on a regular basis. Tea, coffee, and other beverages containing caffeine are amongst the most common. They can cause teeth to become stained. 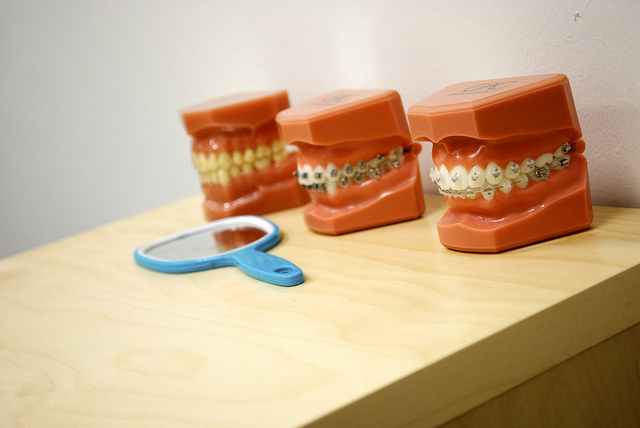 Tobacco products also harm the appearance of your teeth. Teeth can easily become yellow if you smoke. Some medications can discolor the teeth. If you use antibiotics or other medications frequently, your teeth may no longer be white. A poor diet, or poor oral hygiene, can result in teeth that are dull. Natural aging is another reason teeth lose their brightness. These are some of the most common reasons your teeth may not be as attractive as they were in the past. You may be ready to take action so they are white and beautiful again. Your age, gender, and lifestyle are not nearly as important as your desire to look your best. If you think about it, one of the first things you notice about a person is his smile. Dull, yellow teeth are not appealing at all. 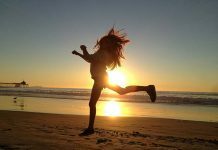 It is a bright smile that makes a person attractive. 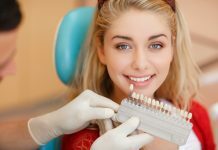 When your teeth are their whitest, it can increase your self-confidence. When you know you look good, you will feel good about yourself. You will never want to hide your teeth, or avoid smiling when you talk to people. Instead, you can be friendly and confident. Teeth that are white represent good health. 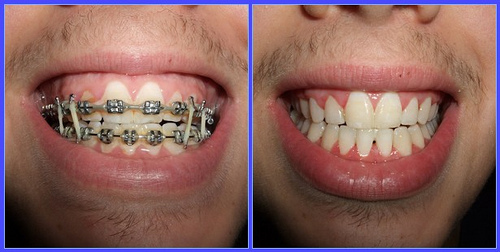 Even if you are healthy, you do not appear to be when your teeth are yellow or dull. Teeth that are white and in excellent condition are signs of health. Sparkling teeth will also make you look younger. Discolored teeth make a person appear much older. Regardless of your actual age, whitening will make a difference. For the best results, make good oral care at home one of your priorities every day. Occasional whitening will not give you the results you want if you neglect your oral health. Avoid tobacco products, and foods and beverages that are harmful to the teeth. 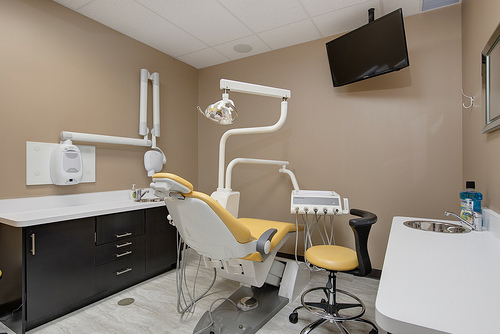 You should also make a point of visiting your dentist regularly for examinations and professional cleanings. If you are conscientious with all of these steps, the all-natural product you can find in your grocery store can make an amazing difference. Instead of teeth that are stained, dull, or discolored, you can have teeth that are sparkling white. 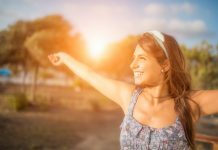 You will have confidence in your smile, and know you always look your best. You do not have to spend a fortune for white teeth. A pure, natural product will work. 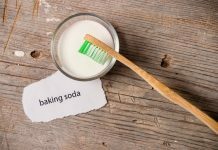 Many people have been using baking soda to whiten teeth for many years now. Watch the video above to learn how you can do so as well.